(Passing Drills) Movement. 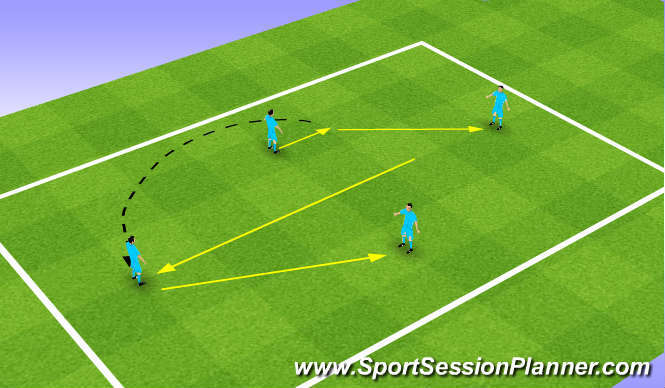 Before reciving to create space one for defender one for ball. Soft lay offs. Firm pass all on floor no bounce. Ball must be kept and transfered from corner to corner and back to score. movement support and olverlaps are essential. accuracy of pass and wareness is essential. Passing, short and long. Control inside & outside foot turns. Movement to create space, timing of support. Strength, speed, endurance, anaerobic, agility & balance. Communication team work, strength to hold player and direction of play. 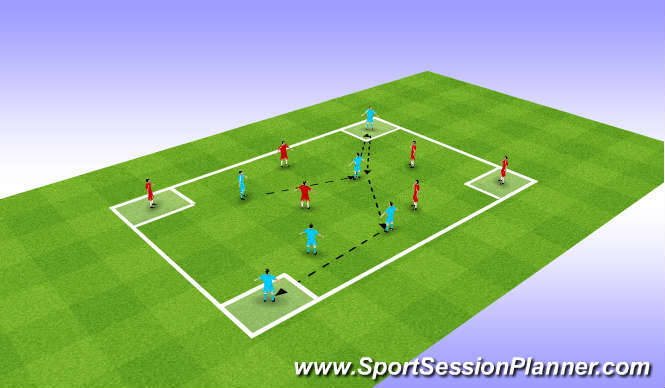 Good session players really like this session as they can see movement from outside squares and appriciate support. Communication getting better but could sill improve.